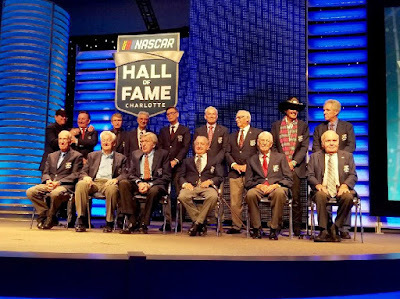 Five NASCAR icons – two drivers, a crew chief/owner, an engine builder/owner and a broadcaster – were enshrined into the NASCAR Hall of Fame in Charlotte, North Carolina, tonight during the Induction Ceremony held in the Crown Ball Room at the Charlotte Convention Center. 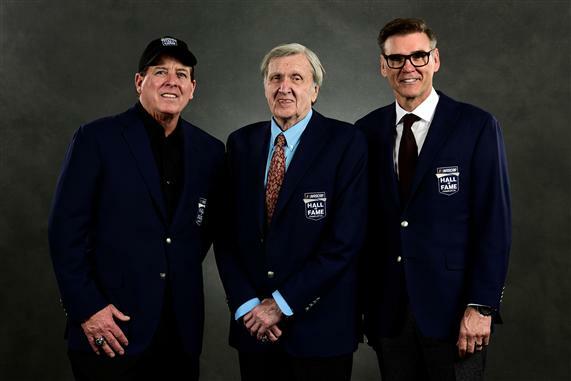 Red Byron, Ray Evernham, Ron Hornaday Jr., Ken Squier and Robert Yates make up the ninth class of The NASCAR Hall of Fame, which now holds 45 inductees. A pioneer of the sport, Red Byron won the first NASCAR race at the Daytona Beach Road Course in 1948. That year, he went on to win NASCAR’s first season championship in the NASCAR Modified division. The next season, Byron won NASCAR’s first Strictly Stock title – the precursor to today’s Monster Energy NASCAR Cup Series. Byron achieved these feats despite having to drive with a special brace for his left leg, which he injured serving in the Air Force during World War II. In the 1990s, Ray Evernham paired with Jeff Gordon to rewrite the NASCAR record books. 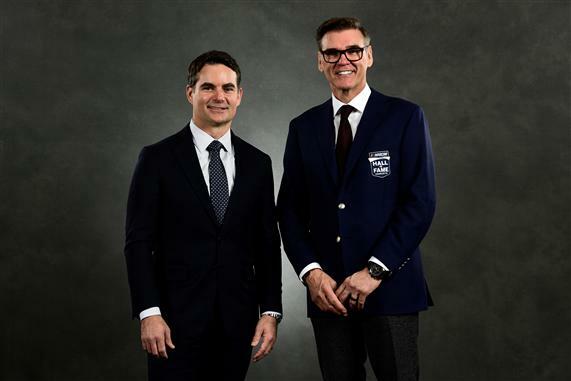 Evernham guided Gordon to three championships in four seasons (1995, ’97, ’98). The pair collected a series-high 47 wins in the 1990s, taking the checkered flag in two Daytona 500s (1997, ’99). A skilled innovator, Evernham’s ‘Rainbow Warriors’ pit crew revolutionized the modern pit stop. He won 13 times as an owner and led the return of Dodge back to NASCAR in the 2000s. 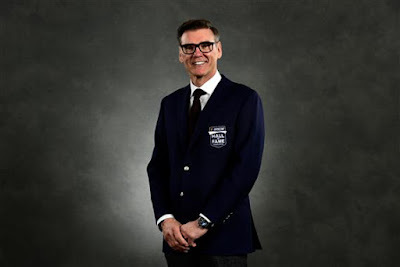 "I stand here tonight before you very humble, very thankful, and very grateful to be a member of the NASCAR Hall of Fame," Evernham said. "Martin Luther King said that if a man is called to be a street sweeper, he should sweep the streets as Michael Angelo painted or as Beethoven composed music. He should sweep the street so well that the host of heaven and earth will pause to say, there goes a great sweet sweeper. And I read that quote a long time ago, and I realized the best way I could pay back everyone who believed in me was to work hard and be a good street sweeper." Ron Hornaday is statistically the greatest driver in NASCAR Camping World Truck Series history. 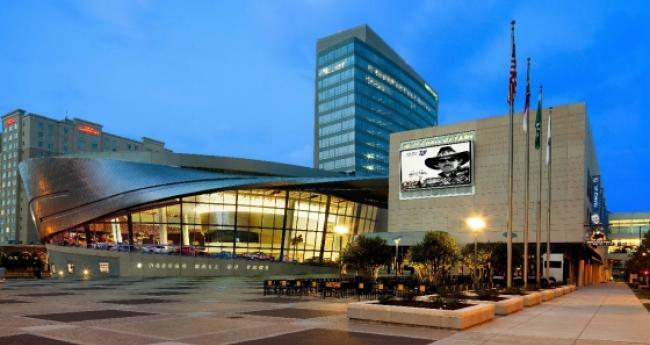 The Californian boasts a record four Truck Series championships and won 51 races. He also tops the series annals with 158 top-five finishes. In 2009, Hornaday won five straight races, a feat matched by only two other drivers in NASCAR national series history. "This is for every short track racer that ever had a dream, ever had a heart, ever believed in anything that you can believe in, this is it … the Hall of Fame," Hornaday said. 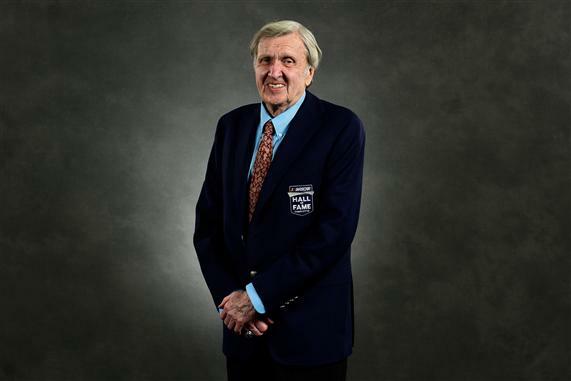 Few broadcasters in any sport could weave words together like Ken Squier. He is best known for calling the 1979 Daytona 500 on CBS, providing the play-by-play for the first live flag-to-flag coverage of "The Great American Race" – a moniker he coined. Following that event, Squier called races on CBS and TBS until 1997 before shifting to the studio as a host for NASCAR broadcasts until 2000. He founded MRN Radio in 1970. "In our sport, there are innovators, builders, advocates, challengers, heroes, and an announcer now and then, who all have a part to play," Squier said. "This is always a thank you time speech, so many to deal with. Some of us are inconceivably lucky to call these folks friends. I think we all call them heroes. And I'm feeling like an odd duck in a flock of fancy geese, let me tell you." A dual-threat, Robert Yates’ excelled in engine building and team ownership. He provided the engines that powered Bobby Allison to his 1983 championship and Richard Petty to his 200th win. He launched his own team – Robert Yates Racing – in the 1980s. 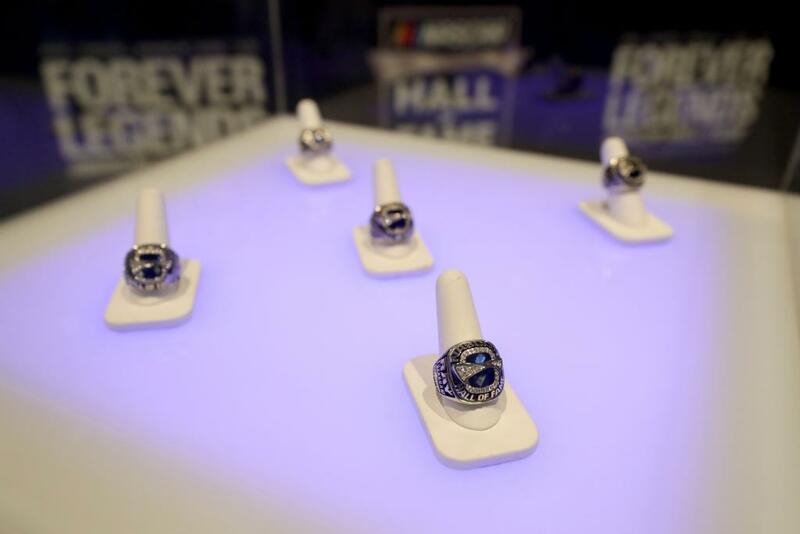 As an owner, he won three Daytona 500s, and the 1999 premier series championship with Dale Jarrett. Overall, his team claimed 57 victories. Yates lost a tough fight to cancer last October, but wrote his acceptance speech before he passed. The highlight of the night was a video of Jarrett reading the words of his late team owner. "I never prayed to win a race, I just prayed for the wisdom to help me make good decisions," Yates wrote. "My creator didn’t always give me what I asked for, but he gave me more than I deserved." Edsel Ford (member of the board of directors for Ford Motor Company) for Robert Yates. Brad Keselowski for Robert Yates. In addition to the five inductees enshrined today, Jim France was honored as the fourth recipient of the Landmark Award for Outstanding Contributions to NASCAR. 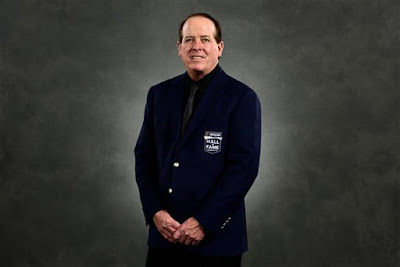 France, the chairman of the board for International Speedway Corporation, began working in the NASCAR industry as a teenager in 1959, learning all aspects of the business from his father, NASCAR Founder Bill France, Sr. France founded the GRAND-AM Road Racing Series in 1999. In 2012, he led the merger of GRAND-AM and the American Le Mans Series, forming the International Motor Sports Association (IMSA). "No one deserves this award more than Jim France," said France’s niece, ISC CEO Lesa France Kennedy. "He is the epitome of what the Landmark Award represents." Prior to tonight’s Induction Ceremony, trailblazing motorsports journalist Norma ‘Dusty’ Brandel was awarded the Squier-Hall Award for NASCAR Media Excellence.